Merging Technologies have said they are proud to announce that the result of a new partnership with Roon Labs will be on display on stand 3-L10/M07 and in the Special Sound Demonstration in Konferenzraum K1B at the HIGH END show in Munich. The concept of Roon’s player program being offered in integrated solutions is not new; there being many existing partners with products available, but this will be the first time that the focus will shift to a complete turnkey and networked solution offering multichannel capability up to DSD256 and DXD. 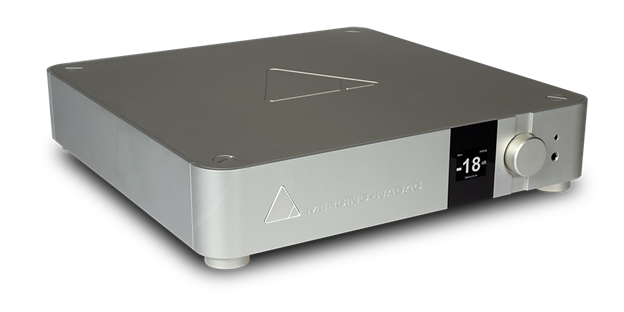 The Merging NADAC was launched at the 2015 HIGH END. A variety of player solutions including Merging’s own Emotion player can be used with an external computer but this concept is not the first choice for all users. The ‘single box’ solution with the software and the server combined with a DAC removes the need to have a computer in the living room. The system can then be controlled by tablet or smart phone. Integration details such as direct control of the NADAC volume and mute from the Roon user interface also adds to the overall ergonomics by simplifying the control of the entire system from one single page on one single tablet.